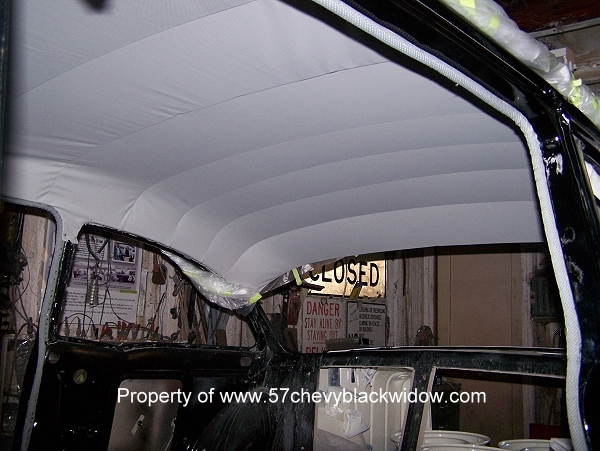 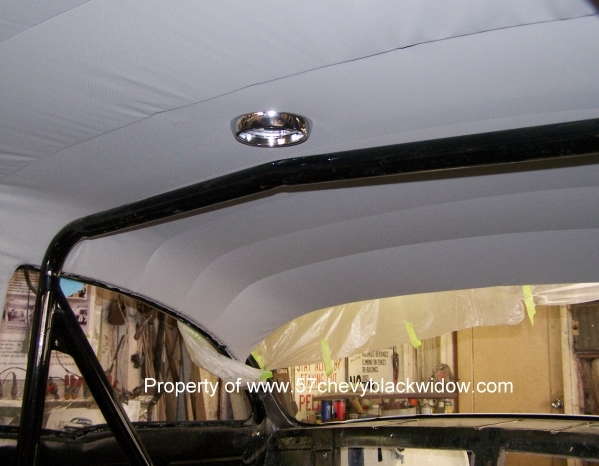 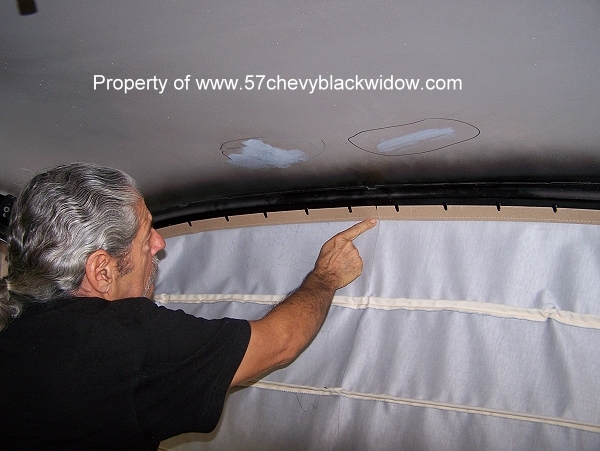 After installing the cleaned & painted bows, photo #431 shows "Old Guy Scott" installing headliner at the rear first. 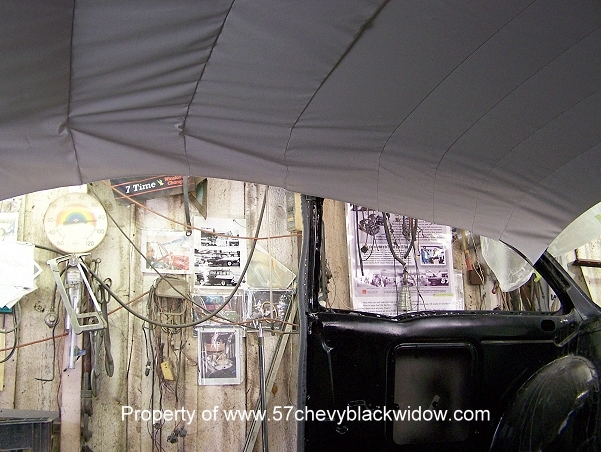 Photo #432 shows how bow #3 hooks in the center. 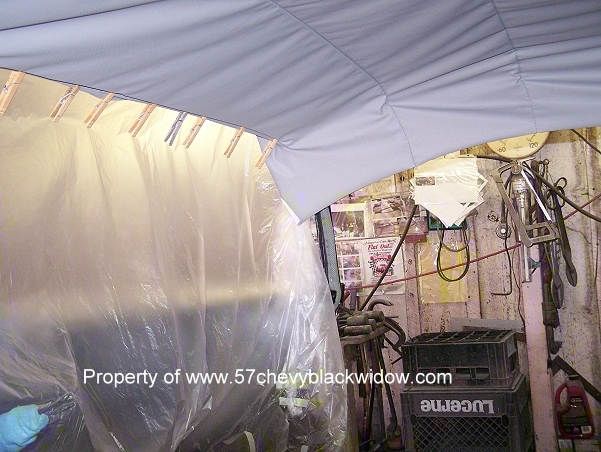 Photo #434 shows the temporary hook up at the front. 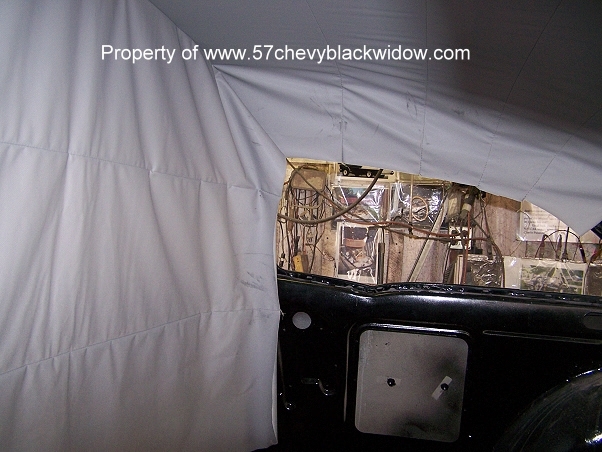 Photo #435 & #436 shows the quarter window area tacked in place. 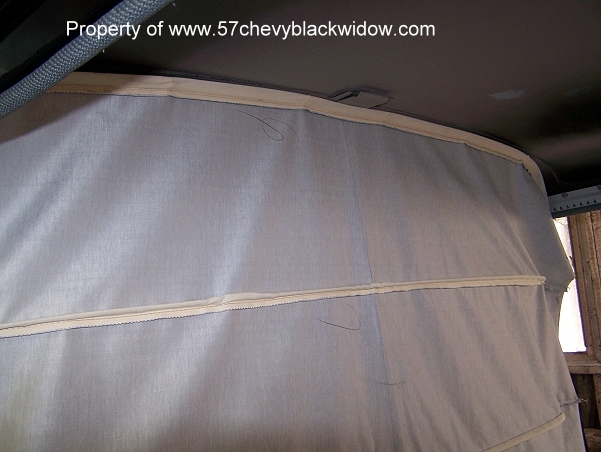 In photo #437 you see the roll bar in place to check clearance.